There is nothing worse than having been slightly liberal with your wallet on a beautiful 5-star restaurant meal (trying to impress the significant other! )… only to wake up in the middle of the night with a burning, unbearable pain in the stomache. That sharp pain feels like a swift punch in the belly by Mike Tyson…but its not from that. You hurriedly think to your self ” It can’t be the cereal I had this morning! I THINK that sandwhich meat for lunch was fine.. so it could only be— NO! Why?! Why did I have to spend so much money on this meal, and experiment to be “exciting!”…Why?! But it’s not always your fault, and it’s not always the mysterious, exotic dish’s fault… Sometime’s things go wrong, and someone is to blame. It is imperative that food business owners in Victoria ensure that their staff are adequately skilled and knowledgeable enough to safely handle food in their respective roles. 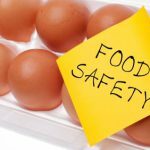 It is therefore important for food businesses to elect a food safety supervisor to make sure of this. What? A Food Safety Supervisor? What’s that? has the ability and authority to supervise other people handling food at the premises and ensure that food handling is done safely. What type of Food Businesses Need FSS? Only class 1 and class 2 food premises require a food safety supervisor. Food poisoning most often occurs upon consumption of “potentially hazardous food” such as meat, seafood, cooked main meals and sandwiches. In addition, persons with weakened or immature immune systems suffer a greater risk of serious illness or death from food poisoning. Class 1 and class 2 businesses therefore require a food safety supervisor. However a food safety supervisor is not required for class 1 and class 2 food premises which use a whole-of-business food safety program prepared under a recognised Quality Assurance (QA) system, and that program includes competency-based or accredited staff training. Such a system is an alternative means of educating staff about how to handle food safety. Class 3 and class 4 food premises do not require a food safety supervisor as the nature of the food handled at those premises is not commonly associated with food poisoning. However, these businesses must still ensure that they maintain safe food handling practices. 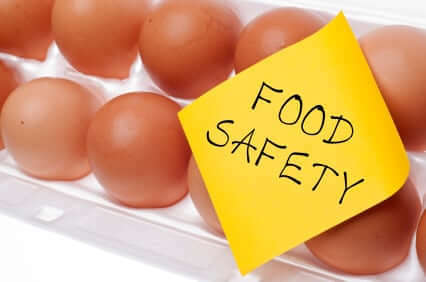 All food premises (businesses and community groups) that sell food are legally required to ensure that it is safe for human consumption, regardless of the premises food safety supervisor requirements.